A 2006 IBBY Honor List title, this innovative book combines the story of Liu who goes off to visit her grandfather with a rebus-style look at the evolution of Chinese written language from pictures to today's modern calligraphy characters. You can read them, play with them, and dream about them. This book is sure to please children and adults of all backgrounds with its peek into this fascinating topic. 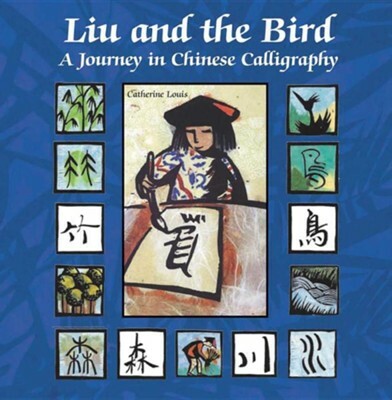 I'm the author/artist and I want to review Liu and the Bird: A Journey in Chinese Calligraphy.